As one of the many artists that made 2013 such an unusually strong year for good comeback records, Suede’s first album in 11 years, Bloodsports, at last provided the appropriate full stop to their legacy that their output in the ‘90s deserved, and which 2002’s dire A New Morning singularly failed to provide. Having cleansed our palates from that sour aftertaste, Brett Anderson and his gang must now turn to the future, and the prospect of adding to that legacy having righted the wrongs of the past. Night Thoughts, their seventh album, duly finds them in a noticeably more ambitious mood this time around, their sound falling roughly between their ‘90s twin peaks – the artistry of 1994’s Dog Man Star, and the commercial success of 1996’s Coming Up. Made in tandem with a rather sombre Roger Sargent film of the same name, in which a drowning man reminisces on the misfortunes that have befallen him and driven him to his suicide attempt, both of which are roughly designed to dovetail with each other, it has assumed the vague form of rock opera – songs segueing into each other; a narrative of sorts; short musical interludes – but has jettisoned the rulebook in certain places. Long-term producer Ed Buller is once again back at the controls. 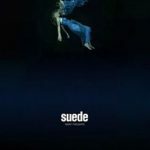 In doing so, it successfully balances the tightrope between high concept and pure entertainment, and is arguably Suede’s best record in 20 years. We open with the brooding orchestral swell of ‘When You Are Young’, which secedes to Phil Spector-esque drumbeat and some spectacularly healthy vocals from Anderson. Even a fairweather Suede fan will know the game he’s playing by now, exploding the intimate into the cinematic. This ominous intro segues seamlessly into ‘Outsiders’, a Suede anthem for misfits par excellence in the vein of ‘Trash’ and ‘New Generation’, its protagonists having nothing in this world except each other and what time is afforded them (“she puts her faith in the moment”). Even including his maligned solo career, Anderson has been writing at least one of these songs for every album he’s released for 25 years, and long may it continue – he’s pretty damn great at it. ‘No Tomorrow’ sees them jump into glorious abandon with a propulsive bassline and a Neil Young-esque guitar line, and pretty much everything that happens is in line with what you’d expect from a great Suede record. What little narrative there is, as a couple comes together and drifts apart over the course of an album, is not linear but rather a series of discrete portraits of lust, frustration, violence, reconciliation and the blurred boundaries between those emotions. There’s nothing earth-shattering or even particularly modern about what Suede are doing here, but they’re exploring the limits of their own self-defined, relatively small little universe. ‘Tightrope’, with its reverberating guitar line, is the album highlight and a truthful reflection of the gut-churning anxiety of an uncertain future. These highlights are often separated by some innocuous ‘bridging’ moments, such as ‘Pale Snow’ or ‘Learning To Be’, which, while not particularly memorable, perfectly fulfil their function in mentally separating these sumptuous high points. The creepy children’s choir at the end of ‘Like Kids’, a sure-fire future single, is a nod to Dog Man Star’s lead single ‘We Are The Pigs’. Several other moments like this, such as the ‘beautiful loser’ song ‘What I’m Trying To Tell You’, another old Suede trope featuring lyrics about “scars” and “I know I don’t command attention”, never feel like an uninspired re-treading of old territory, but instead demonstrate that they’re willing to make their back catalogue work in their favour in much the same way as the late David Bowie did with his own comeback The Next Day. Indeed, it is somehow fitting that Night Thoughts arrives so soon after Bowie’s passing, as it was Suede’s combination of glamour and grit that arguably did more than anybody in the ‘90s to pay homage to him and keep his reputation strong. Listen to Night Thoughts here, and tell us what you think below!